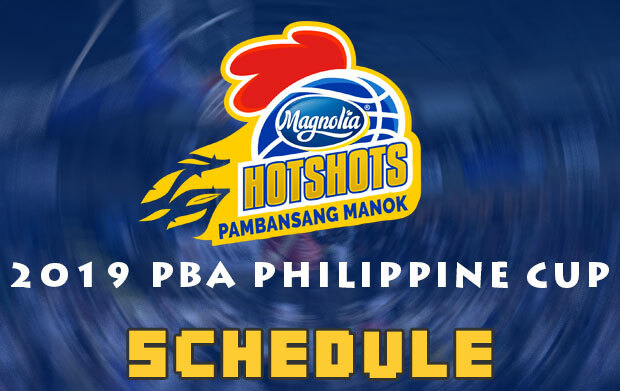 Below is the list of game schedule for the Magnolia Hotshots Pambansang Manok in the 2019 PBA Philippine Cup – Eliminations round. Last 2017-18 PBA Philippine Cup, the Hotshots finished second in the eliminations round having 8-3 win-loss card. In the quarterfinals round, they carried a twice-to-beat advantage against the GlobalPort Batang Pier and they needed just one game to advance to the next round. In the semis, they clashed against the NLEX Road Warriors, their best-of-seven series reached to Game 6 where they won the ticket to Finals. In the championship round, they played against the defending champion, the San Miguel Beermen where they lost in Game 5.